Hmm… if you were asked to name the cuisine universally loved best, you probably wouldn’t hesitate to say French, Italian or Spanish. Am I right? I would be very surprised if you nominated Britain as the home to good food. Only because British food has a wee bit of a bad rep… ‘What exactly is British cuisine? Fish and chips? Pies?’ I’ve heard someone chortle. Consequently, my focus for this week’s column is British food! I want to show British food haters that we produce dishes just as delicious as our European neighbours. How do you pronounce scone? Does the way you say it rhyme with gone or cone? I remember during my first year at uni, that I spectated a heated scone pronunciation debate between two law students and found myself very amused… I am indifferent to the scone-pronunciation-hullabaloo, although personally, I confess that I say it like cone… Regardless of how you pronounce the word, you can’t argue that there is something quintessentially British about scones! In a large bowl stir together the baking powder, flour, salt and sugar. Add butter to the bowl and with an electric mixer blitz the mixture until it resembles oatmeal. Then stir in the dried cranberries if using. Next pour in the double cream and mix together until dough begins to form. Then with your hands knead the dough until it comes together into a rough, sticky ball. To form the scones pat the dough onto a lightly floured surface into a 4-inch thick circle. Use a biscuit cutter to cut out equal sizes (should have approximately 8 scones). Place the scones on a baking sheet and bake until the tops are light brown (around 12 to 15 minutes). Remove and cool on a wire rack for at least 10 minutes before eating. Serve your scones warm or at room temperature with a lovely British cuppa. 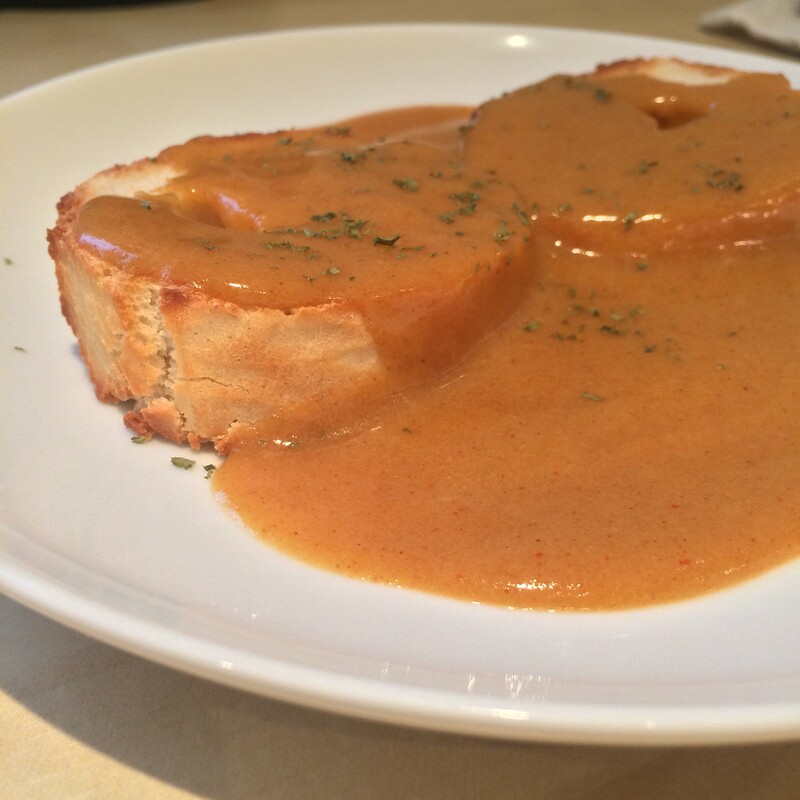 Firstly, no this dish does not involve rabbits, in case you were wondering… Basically if you love cheese, and if you love toast, you will love Welsh Rarebit! It is essentially fancy cheese on toast, but don’t let its simplicity fool you. The flavour of this Welsh gem is not to be underestimated! Slice the baguette into several thin slices and brush with butter. Pop it in the oven and toast until it is as crispy as you like. Meanwhile, in a medium sized saucepan, melt the butter over a low heat. Add the flour to the saucepan and whisk together until combined. Cook for a further 2 minutes over a low heat. Next pour in the beer and milk, whilst stirring constantly. Cook for an additional minute, then whisk in the cayenne, mustard, paprika. Lastly add the cheese and whisk slowly, cooking until the sauce is smooth. Remove from the saucepan from the heat and whisk in the egg yolk. Serve the sauce immediately over the toasted baguette slices and enjoy! Kedgeree is believed to have originated from India and was brought back to Britain by British colonials that loved it so much! This hearty dish perfectly marries exotic flavourings with our local produce, and the result is a truly British sensation. In a heavy based saucepan add the rice, water (235ml) and salt, and bring to the boil over a medium heat. Cover the saucepan with the lid and reduce heat to low. Simmer gently until the water has evaporated and the rice is cooked (approximately 15 minutes). Remove the saucepan from the heat and cool completely. In another saucepan bring to the boil the milk, bay leaves and the water (470ml), over a medium. Then reduce heat to low, add the fish and simmer until the fish flakes (roughly 10 minutes). Cool the liquid and remove the fish bits. Throw out half of the poaching liquid but keep the other half for later. Place the eggs in a saucepan, cover with water and bring to the boil, cooking for a further 4 minutes. Drain the eggs and run them under cold running water. Then peel the eggs, slice them thinly and set aside. Melt the butter in a frying pan over a medium heat. Add the curry, garlic, ginger and onion, and sauté until the onion is translucent (around 5 minutes). Add the cooked rice and fish bits, stir to combine and cook until heated thoroughly (about 3 minutes). Pour in the pouching liquid, eggs and parsley and stir to combine. Representing our local region is the Lancashire Hot Pot! When I first moved here my folks would regularly ask me whether I had eaten hot pot yet. Perhaps I just don’t dine out at the right places, as it took me until my third year to finally find a place that dished it up! When I had my first bite I fell in love with its wholesome goodness and I now have it often (just yesterday, actually…). Here’s how to make a Lancashire Hot Pot in the comfort of your own kitchen. Heat oven to 160°C (fan). Melt some of the butter in a large shallow casserole dish, brown the lamb in batches and set aside. Then repeat with the same steps with the kidneys. Fry the onions and carrots in a frying pan with a little more butter until golden. Sprinkle the flour over and allow to cook for a couple of minutes. Add the Worcestershire sauce and stock, then bring to the boil. Next add the meat and bay leaves, and then turn off the heat. Arrange the sliced potatoes on top of the meat and drizzle with a little more butter. Cover the dish and then place in the oven for about 1 and half hours, until the potatoes are cooked. Remove the lid, brush the potatoes with a little more butter, then turn the oven up to brown the potatoes, or finish under the grill for 5-8 minutes until brown.